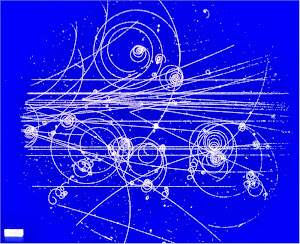 I confess that my overwhelming emotion on watching Particle Fever was one of regret — regret that my own field, quantum computing, has never managed to make the case for itself the way particle physics and cosmology have, in terms of the human urge to explore the unknown. He blames the media?! No, every single scientist in this field tells glowing stories about the inevitable breakthrus in quantum cryptography and computing. Including Aaronson. Lots of scientists over-hype their work, but the high energy physicists and astronomers have scientific results to show. Others are complete washouts after decades of work and millions in funding. String theory have never been able to show any relationship between the real world and their 10-dimensional models. Quantum cryptography has never found any practical application to information security. Quantum computing has never found even one scalable qubit or any quantum speedup. Multiverse theories have no testable implications and are mathematically incoherent. In my view, we as a community have failed to make the honest case for quantum computing — the case based on basic science — because we’ve underestimated the public. We’ve falsely believed that people would never support us if we told them the truth: that while the potential applications are wonderful cherries on the sundae, they’re not and have never been the main reason to build a quantum computer. The main reason is that we want to make absolutely manifest what quantum mechanics says about the nature of reality. We want to lift the enormity of Hilbert space out of the textbooks, and rub its full, linear, unmodified truth in the face of anyone who denies it. Or if it isn’t the truth, then we want to discover what is the truth. 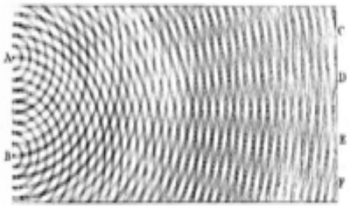 If the quantum computer scientists were honest, they would admit that they are just confirming an 80-year-old quantum theory. Quantum key distribution is already practical (at least short distances). The trouble is, it only solves one of the many problems in computer security (point-to-point encryption), you can’t store the quantum encrypted messages, and the problem solved by QKD is already solved extremely well by classical crypto. Oh, and QKD assumes an authenticated classical channel to rule out man-in-the-middle attacks. ... I like to say that QKD would’ve been a killer app for quantum information, in a hypothetical world where public-key crypto had never existed. That's right, and quantum cryptography is commercially worthless for those reasons. Those who claim some security advantage are selling snake oil. Well, it’s not just the people who flat-out deny QM. It’s also the people like Gil Kalai, Michel Dyakonov, Robert Alicki, and possibly even yourself (in previous threads), who say they accept QM, but then hypothesize some other principle on top of QM that would “censor” quantum computing, or make the effort of building a QC grow exponentially with the number of qubits, or something like that, and thereby uphold the classical Extended Church-Turing Thesis. As I’ve said before, I don’t think they’re right, but I think the possibility that they’re right is sufficiently sane to make it worth doing the experiment. I would not phrase it that way. Scott's bias is that he is theoretical computer scientist, and he just wants some mathematical principles so he can prove theorems. I accept quantum mechanics to the extent that it has been confirmed, but not the fanciful extrapolations like many-worlds and quantum computing. I am skeptical about those because they seem unjustified by known physics, contrary to intuition, and most of all, because attempts to confirm them have failed. I am also skeptical about supersymmetry (SUSY). I do not know any principle that would censor SUSY. The main reason to be skeptical is that SUSY is a fanciful and wildly speculative hypothesis that is contradicted by the known experimental evidence. Likewise I am skeptical about quantum computing. If, hypothetically, QC were practical but only on the surface on Titan, then I’d count that as a practical SUCCESS! The world’s QC center could simply be installed on Titan by robotic spacecraft, and the world’s researchers could divvy up time to dial in to it, much like with the Hubble telescope. Spoken like a theorist. He does not want his theorems to be vacuous. "In my view, we as a community have failed to make the honest case for quantum computing — the case based on basic science — because we’ve underestimated the public. We’ve falsely believed that people would never support us if we told them the truth:" is hilarious. 'Underestimated the public"??? Yeah, um, so you are a fraud, make false promises you can't possibly keep in order to secure nice cushy funding to keep yourself employed, and then look down on the public as uninformed, even though if they were 'informed' they would have tarred and feathered you. Ok. And why exactly should the public fund charlatans? This is open admission that science is not the main objective, nor truth, or understanding,... funding is. That being the case, the public really should scrutinize big science like any other political process, since it IS a political process. His field of quantum computing isn't a field, because there are no quantum computers. It's like saying that "my field is Star Trek-style transporters". At the same time, there is nothing wrong with science fiction. It has done positive things for society, so perhaps quantum computing research will do positive things for society. I agree there is nothing wrong with science fiction, but science fiction does not take billions of dollars to write, is never sold as factual science, and does not undermine the public's trust in scientists and their discoveries; Lying about your field of research to attract funding does. Good point CFT. I was being perhaps too nice. The truth is that this type of extrapolation has been going on for years, the age of the earth, the age of mankind, the age of the universe. There's no way you can check this stuff to see if it's right. Similar for QC - If QC doesn't work, then it's obviously because we're not trying hard enough, so give us more money. He's got it made. As long as nobody can prove that QC is impossible (which nobody has, as he hasn't given the $200k prize that he promised anyone who does), he gets more research grants working on Star Trek style transporters. I don't want to say that this research is all for nothing. It will be interesting to do actual experiments which confirm that QC doesn't work. It's just that all of this QC stuff is presented as stuff that must work, when there is no evidence that it does work.